How will organisations deal with the data and security concerns posed by IoT devices? In this year alone, we will use 8.4 billion connected things. And by 2020, it’s predicted this figure will rise even further to 20.4 billion. With three devices for every human being on the planet, we can safely say that the IoT is set to completely transform our everyday lives. While nearly two thirds of these connected devices will be predominately used by consumers, businesses are set to employ 3.1 billion connected things. However, before organisations jump head first into embracing the IoT, it is critical they understand that the IoT has a dark side. And without knowing how to overcome the challenges this dark side poses, businesses could well find themselves struggling to outpace the competition. The rise of the IoT has resulted in unprecedented amounts of data. And it’s only going to continue growing. In fact, by 2020, one tenth of the world’s data will be produced by machines and the amount of data in the cloud will double. Of course, this explosion of data has its benefits. It offers organisations an insight into their customers and processes that they may have never had before. It also enables businesses to make better decisions, based on well-informed analytics but, sometimes, this data deluge can be too much for businesses to handle. In some cases, the total amount of data being collected from devices may be so huge that moving it all over the network to a central location may not be a feasible solution. Take, for example, a sensor set up in a large industrial food storage warehouse and distribution centre which uses internet-connected devices to regulate temperatures. To serve its various purposes, including maintenance, the sensor needs to transmit information such as temperature, humidity, battery level, motion/position changes and so on. This data could be transmitted as frequently as every 30 seconds, and it’s quite likely this sensor is not the only one in the warehouse. So you end up with hundreds of sensors reporting information on numerous factors, as often as twice every minute. That’s a lot of data to process and make sense of. Organisations, then, need an integration solution with the ability to aggregate only the desired, useful data from wherever it resides, normalise it into common data models, and make it accessible for monitoring, reporting, and maintenance purposes. Once organisations overcome the challenge of making the vast amount of information manageable, they then need to make the data meaningful. However, this is sometimes easier said than done. Given the range and diversity of IoT use cases, it’s unlikely that a single vendor can create a comprehensive solution for an environment of a large-scale enterprise, or warehouse, for example. A fully functional and robust IoT environment requires a complete peer-to-peer solution in which devices from one vendor can translate the information from the devices of all other vendors. Yet, with numerous connected devices in a given environment, the involvement of hundreds of vendors as well as a number of legacy devices, this approach just isn’t feasible. To make sense of all the data, businesses would be wise to adopt a smart hub model which intelligently brings all the data together. Here, a rules engine can analyse the data from the many IoT gateways and IoT central servers, which are receiving data from all the devices and sensors in a warehouse, for example. The hub can, then, make intelligent decisions and pass on the appropriate commands to the connected network. The IoT poses another challenge: security. By introducing IoT sensors and devices, even more opportunities and avenues open up for hackers to escalate their efforts to steal valuable data, shut down entire infrastructures and cause severe disruption. Unfortunately, securing the IoT is a much more complex task than securing a traditional enterprise network but failure to implement a robust security strategy across the entire IoT ecosystem could result in disastrous consequences for a business. It’s, therefore, critical for businesses to recognise that its overall security profile is only as strong as the weakest device. If the security on a particular vendor’s sensor at the aforementioned warehouse is weak, it becomes an easy target for hackers. What’s more, if other sensors and devices depend on data from that weak sensor, there’s the very real chance of the others being compromised too. To solve this problem, the warehouse IoT peer-to-peer model must be implemented in a way that enables the system to double-check a particular sensor’s reading by comparing it with other physically co-located sensors to confirm that reading. For example, if one outdoor sensor is reading particularly high while its neighbouring sensors uniformly read a lower temperature, then the system should not make an immediate decision to adjust the temperature of the warehouse. Instead, the system should issue an alert to validate the functionality of that sensor and to check the physical area around the sensor. As the number of IoT deployments increase, and ecosystems continue to grow, a new level of technology challenges will need to be solved. As such, businesses are finding that they need to start preparing for the arrival of technologies that haven’t even been invented yet! What’s more, the IoT will evolve not only to have multiples of these specialised ecosystems but an organisation may also want to support correlating situations across these ecosystems. This will present a new level of unpredictable outcomes. For example, a motion sensor on an HVAC panel triggers the security system or an unforeseen data model change from one vendor throws an unrealised dependent ecosystem into complete chaos due to bad or missing data. The saying goes, “failure to prepare, prepare to fail.” Those businesses that are making progress on defining their IoT strategies need to consider what the future holds if they are going to use IoT to their advantage. Although it’s beyond our control to predict all the future needs for an IoT strategy, especially with the landscape changing at such a fast pace, it will be critical for businesses to consider what could be coming down the line. 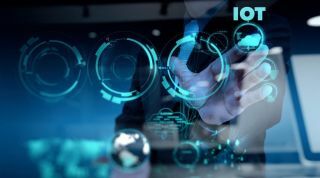 With Gartner predicted the deployment and use of 20.4 billion connected devices in the next three years, there is undeniably going to be a huge choice of technologies on offer that will define how an organisation’s IoT platform will be able to adapt, scale and provide the agility needed to competitively evolve. Companies that get these decisions right, and master the challenges imposed by the ‘dark side’ of IoT, will find themselves making smarter, faster and more accurate business decisions. Consequently, these businesses will quickly outpace their competitors and set themselves up for success in an increasingly connected world.